Archaeoroutes are a range of walks, mostly in wild places, which visit ancient sites. They include pictures and descriptions of the sites. 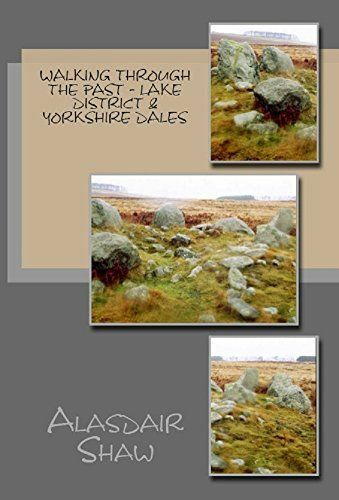 This volume covers walksin the Lake District and walks in the Yorkshire Dales. These areas contain stunning mountains and beautiful valleys. The walks in this book range from gentle walks to full-on mountain days. The Lake District is a mountainous area north of Morecombe Bay. The steep sided valleys are connected high passes. The area was heavily glaciated. The highest point is Scafell Pike at 977m. The Yorkshire Dales are a region of limestone hills and mountains. The valleys are dramatically glaciated and eroded by water. The whole area is riddled with caves. The highest point is Whernside at 736m. You can also view the routes on OS maps online and even download them to your GPS by going to http://my.viewranger.com/route/curations/448 (for a video so see how they work go to https://www.youtube.com/watch?v=7LJDRnvteFY). A good present for a walker or amateur archaeologist!